The veteran TCR International Series team bosses were left speachless, when newcomers Zele Racing with Ferenc Ficza behind the wheel of a 2016 Seat dominated both the test and the free practice sessions at the Rustavi International Motorpark, roughly 20 kilometers outside Georgian capital Tbilisi. And the Austrian team’s streak continued, when the lights went on green, as Ficza sensationally finished runner-up in race 1, less than four tenths behind local hero Davit Kajaia in a 2017 Alfa Romeo. In race 2, the 21-year-old Hungarian only just managed to pass piling cars in turn 1, but consequently dropped to the back of the pack. Unfortunately, his charge through the field was in vain, as he was hit by Robert Colciago battling for P5 with the Italian and had to retire the car with a broken suspension. Following many successful years in formula racing and in sports cars most recently, Zele Racing has launched its maiden touring car programme in 2017 and impressed immediately. 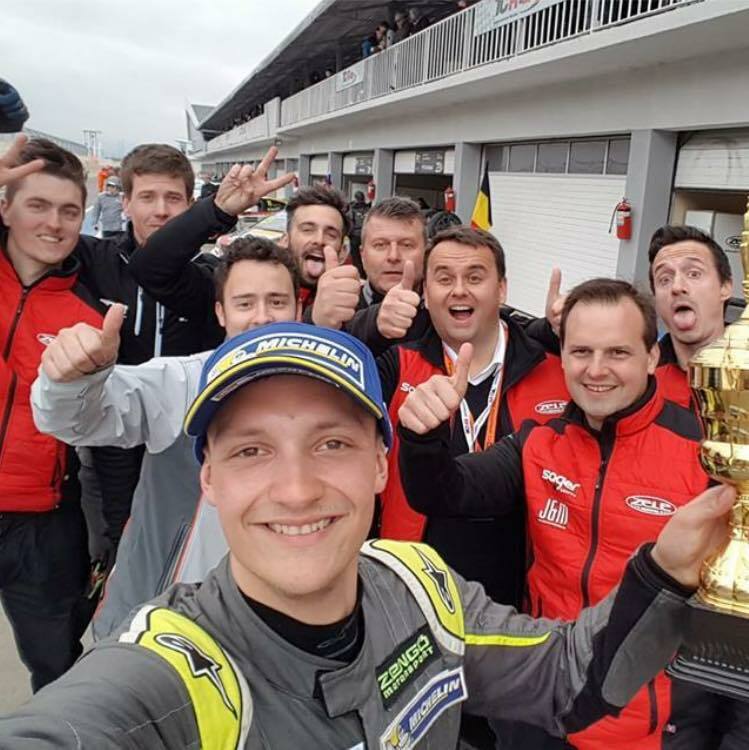 “We took our time finding the right set up for the car and the chemistry between Ferenc, our team and the car was perfect right from the start. Finishing on the podium in our first-ever TCR race is of course amazing. Now we are looking forward to running in Bahrain,” team boss Michael Zele was all smiles. The TCR International Series will continue in two weeks as a support race of the Bahrain Formula One Grand Prix on the Bahrain International Circuit.